Whenever this dreaded day looms on the calendar people seem to lose their minds. So, I had to ask. 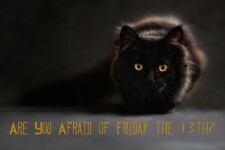 Are you afraid of Friday the 13th? And if you are, why?